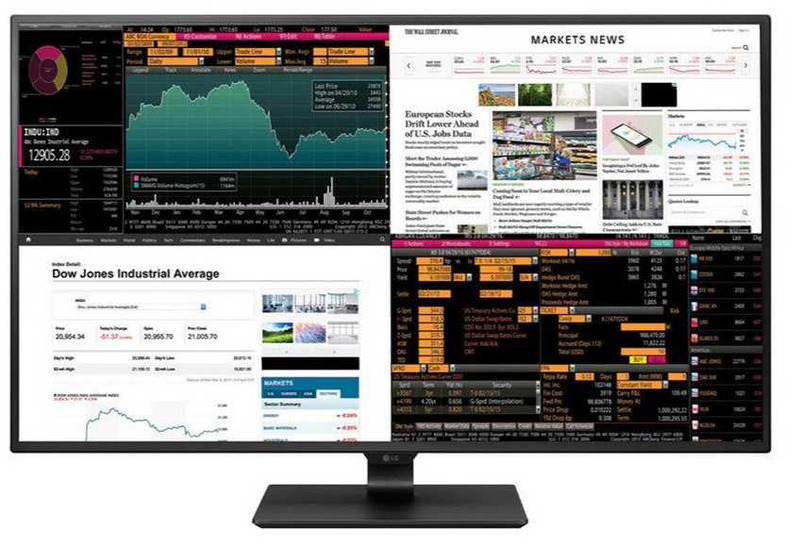 LG has announced its LG 43UD79-B 42.5-inch IPS based Ultra HD 4K monitor. The new monitor can display a single source in 3840 x 2160 resolution full screen, or up to four screens of full HD from different sources all at once and comes with a KVM switch. The new LG 43UD79-B 4k Monitor supports contrast ratio of 1,000:1, 350 cd/m2 brightness, a 178-degree viewing angle and 60 Hz refresh rate. The monitor also includes a massive seven connectors as well as Harman Kardon speakers. This screen comes with KVM switch feature, mouse and keyboard can be connected via two USB 3.0 ports, and a 3.5 mm headphone jack and two 10 W speakers are built in. There are two HDMI 2.0 inputs, two HDMI 1.4 inputs, one DisplayPort 1.2a port with FreeSync and a USC-C port that can also handle a DisplayPort signal. LG 43UD79-B set to go on sale on May 19 for around ¥83,000 in Japan first.